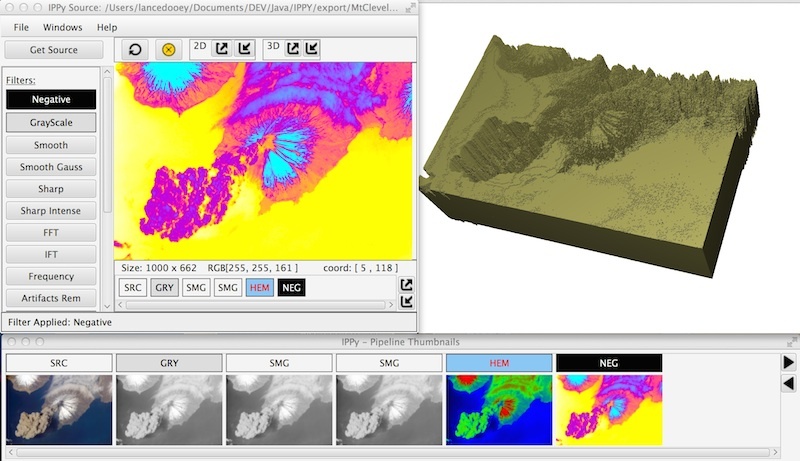 IPPy uses default and customizated 2D digital signal processing filters to groom images for higher operations such as Biometrics and other targeted analysis. 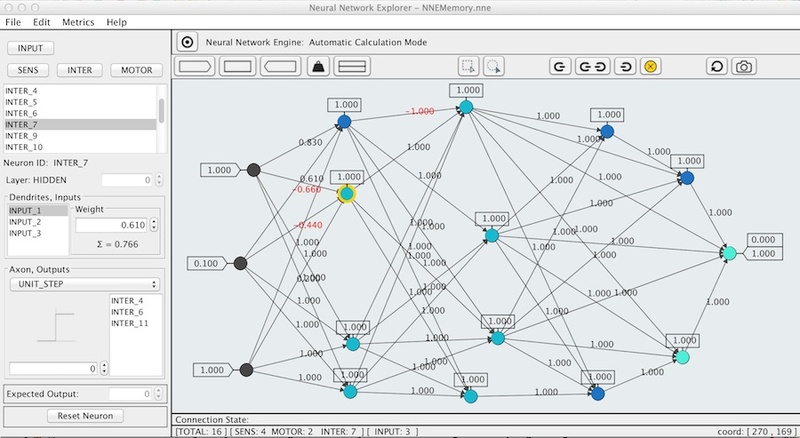 NNE is modeled from our biological neural network and enables rapid visual prototyping of small Artificial Neural Networks. This application accompanies the series of LinkedIn articles on "Object Oriented Programming, Neural Networks" . Written entirely in Java 8, runnable with a JVM. A brief Object Oriented Class architecture explanation and java class definitions can be found on the github link for this project. Active forays into creating predictive models by using statistical learning and machine learning (ML) algorithms. 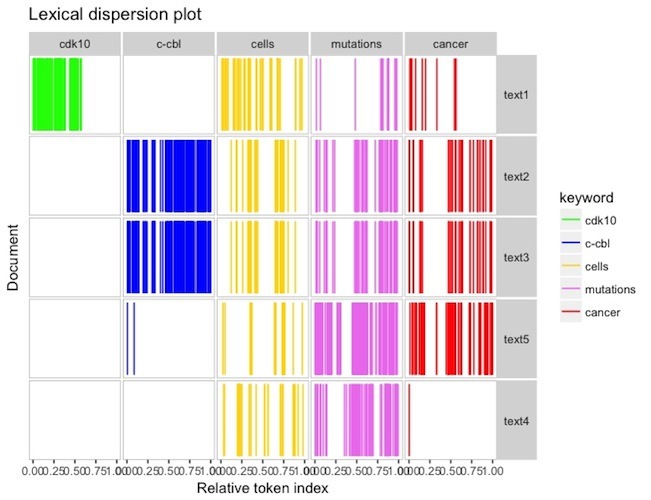 Here are a few plots from the text commentary for a scientific dataset regarding genes, variations, and cancer classification. 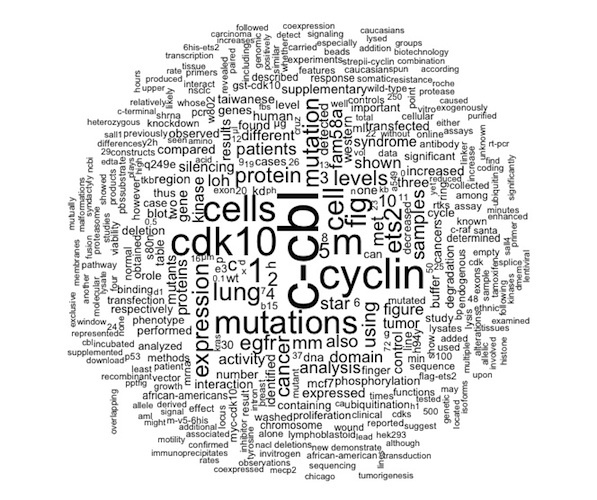 Using R Studio and the quanteda package, it is possible to interrogate word data and create some illuminating plots. R is a open source vectorized programming language optimized for Statistical Computing and graphing. The above plot shows the highest frequency terms in a corpus of 3321 texts. Corpus was tokenized and cleaned with the Quanteda package. Deep inside many of the well known image processing programs on the market, there exist advanced algorithms such as convolution. This series of images shows the results of a variety of convolutions on a base image done with varying convolution kernels. The algorithm loops through the entire image, pixel by pixel and uses a 3x3 or a 5x5 kernel to rewrite the value of a pixel, with respect to it's neighboring pixels. Go to the Github page for Digital Signal Processing to download raw code files and carry out convolutions on images, using the following types of kernels; unweighted smoothing, smoothed gaussian blur, sharpening, and intensified sharpening. Tutorial: Factory Pattern & Customer Interface Demo with Java! This tutorial will demonstrate how to implement a Software Creational Design Pattern called a FactoryPattern and create concrete objects that share a Common interface, in Java. Github is a free online code version sharing system.